1. To buy stock, please login DBS digibank & choose “Securities”. 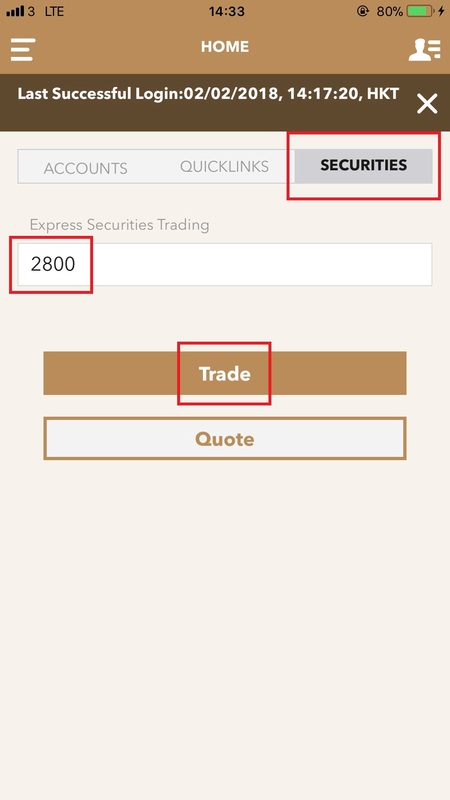 Input Stock Number under “Express Securities Trading”, then click “Trade”. 2. To input Stock Trading details, please click “Go”, you may select “Enhanced Limit Order”, “Market Order”, “At-auction Limit Order” under “Order Type”. Input “Price”, “Quantity (Shares)”, “Good Till” date & select settlement “Account”. 3. To confirm order, please check carefully at below page “Confirm Buy Order (Step 2 of 3)”. If there is no problem, please click “Confirm” to submit order. To amend or cancel, please click “Amend” to go back to previous step. 4. Below is the “Buy Order Received” page. 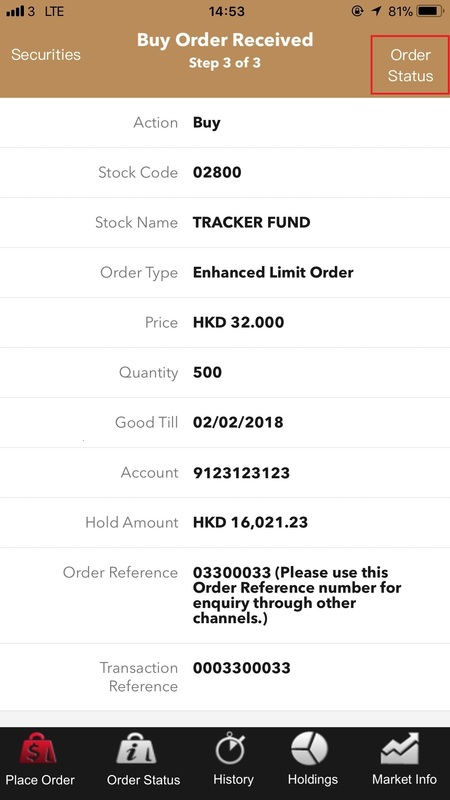 To enquire whether the order has been successfully completed at HKEx, please click “Order Status”. Transaction reference number is at the bottom of this page.